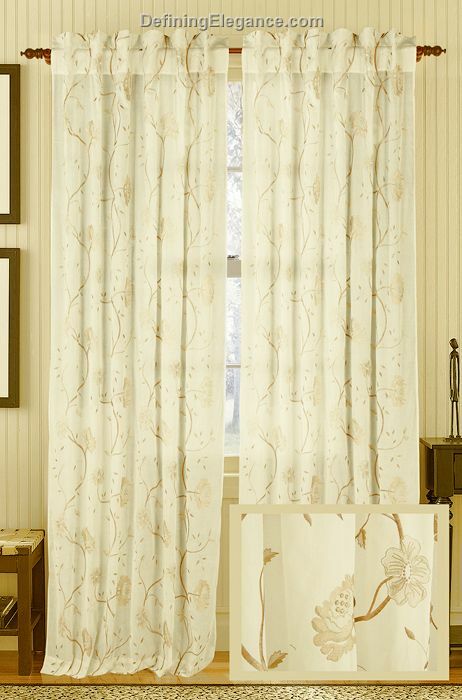 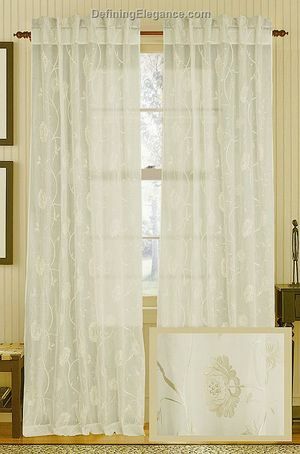 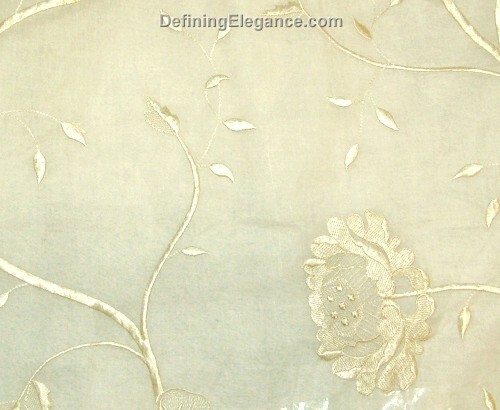 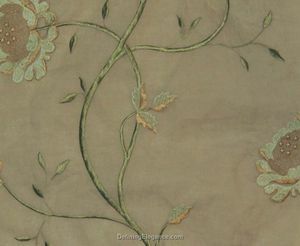 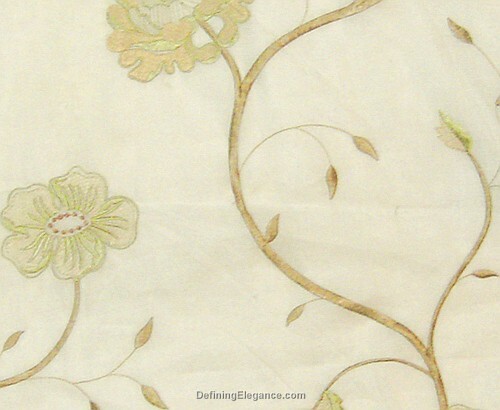 Sheer drapery panels with embroidered flower motif, drapes beautifully and is available in three colorways. Sample fabrics may be purchased and returned within 15 days for a full refund. 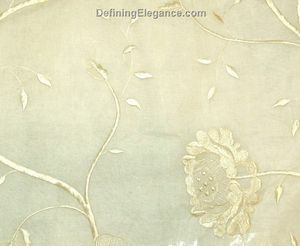 Photo shows Regal in Beige and Ivory in the rod/back tab style. Muriel Kay Regal Sheer Drapery Panel - 84"